Before you start reading, you can catch up with the blog series by starting at Part 1: What Is Content Marketing? When it comes to the world of Internet marketing, there are a variety of different pieces of real estate that you can invest your dollars into. Some will say that you should throw thousands into Facebook, Twitter, or YouTube. Others will say that you need to create your own mobile app or improve your website. Many small businesses face the tough decision of where to spend their Internet marketing dollars everyday. The only piece of Internet real estate that you own as a small business is your website. We know that creating content is huge for your online marketing strategy. With so many options between social media, whitepapers, blog posts, and more, it’s difficult for business owners to know just where they should allocate their marketing budget. Should you put more emphasis on your owned media, like your website and blog, or rented areas like social media channels? Here’s what you need to know about owned versus rented online real estate. Facebook, Twitter, and Google+ are amazing secondary tools for most businesses. We love using them to help our customers grow their business. However, they have their share holders and fans to please. This means that the best and the most promising social tools are more focused on creating amazing experiences for your friends and family over your small business. Sorry, but it’s true. Theses social channels, which you do not own or control, are considered “rented real estate” in the online marketing world. The reason that we call it “rented” is that we have no control over whether Facebook decides to redesign their layout and algorithm or not. In fact, we have no guarantee of whether Facebook will even be around tomorrow. You are just renting space from these social media companies, following their rules and regulations, so that you have the opportunity to interact with your customers on their space. While social networks can play a huge role in connecting with your customers, it’s important to not put all of your eggs in one basket by only paying attention to just social media. There are much more important areas of your digital marketing strategy that need and deserve your attention. The only piece of Internet real estate that you own as a small business is your website. While Facebook, Twitter, and YouTube could all end up like MySpace, your website is the one thing that you control on the Internet. It’s the one thing that you truly own, maintain, and manage online. The big question is, why do so many businesses neglect the very thing they have control over? As the web continues to grow and evolve, the basics of Internet marketing have become more obvious than ever before. Use content marketing to make your website a hub for your customers. Share that content using email marketing, and social media (3rd party sources). Would you rather invest your dollars into owned property, or rental? Whether you are just starting out or reinvesting in your Internet marketing plan, it’s best to first consider the marketing dollars allocated towards your owned media. Before you expand into your digital marketing plan, try focusing on these owned Internet marketing strategies. Create a mobile responsive website. Write meaningful content for static pages (About Us, Services, etc) on your website. Consistently create new content on your website using blogs, whitepapers, videos, and more. Create easy ways for interested people to stay in touch with Email newsletter signups. By creating unique and original content on your own website, you are generating traffic, links, and referrals to something that you own and control. Control your online branding and create experiences for your current and potential customers that add value to their lives. Once your owned media is up to par, it’s time to start sharing your new, original content with your local market. Some of the easiest ways to accomplish this is through your social media channels and email newsletters. Sharing your content over social media won’t directly improve your search engine optimization, but it will certainly lead to building a strong web presence that lasts for years to come. Do you have questions about building your web presence into online dominance for your business? 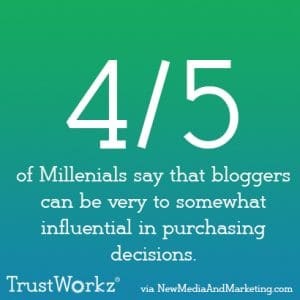 Contact TrustWorkz today and request a free analysis of your online presence.